Yes, there are some people who actually do that. No, it's not okay, in case you somehow thought that it was. Opponaut, ramp-equipped van driver and noted Challenger R/T hoon Qrugby5 explains why, and how those with disabilities have more driving options than everyone realizes. 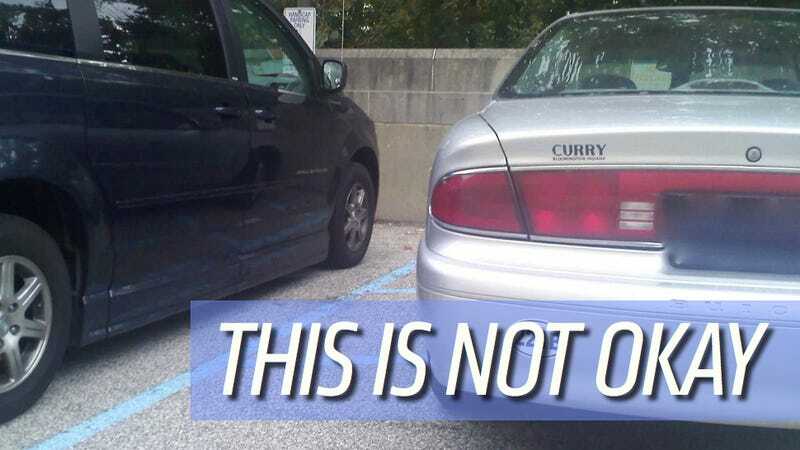 "Those blue lines mean no parking, bro"